Penang’s Northern Music Festival (NMF) is back and is set to be huge blast, featuring more than 60 homegrown bands from all over the country for two days of music, arts and fiesta! 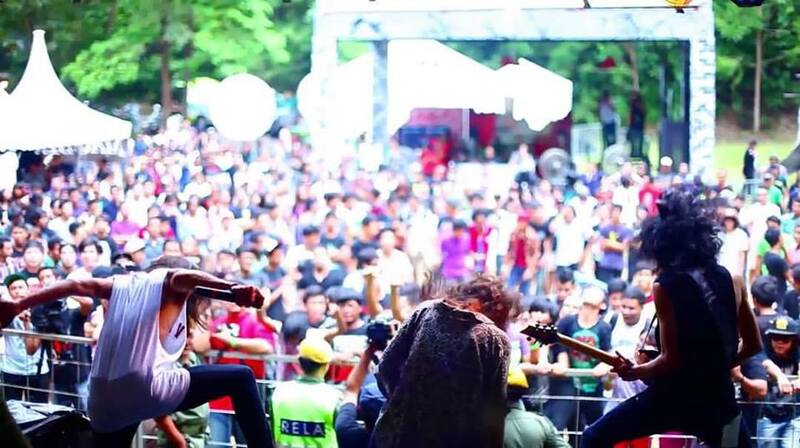 The last known NMF was in 2013, and since then, the festival seems to have gone on a hiatus, but now it is back to bring music lovers nothing but fun and excitement over four music stages, namely The Wild Child, The Wanderlust, The Electrify and The Vagabond. The first phase of line-up has already been announced, presenting a range bands, duos, and solos from across the music genre. 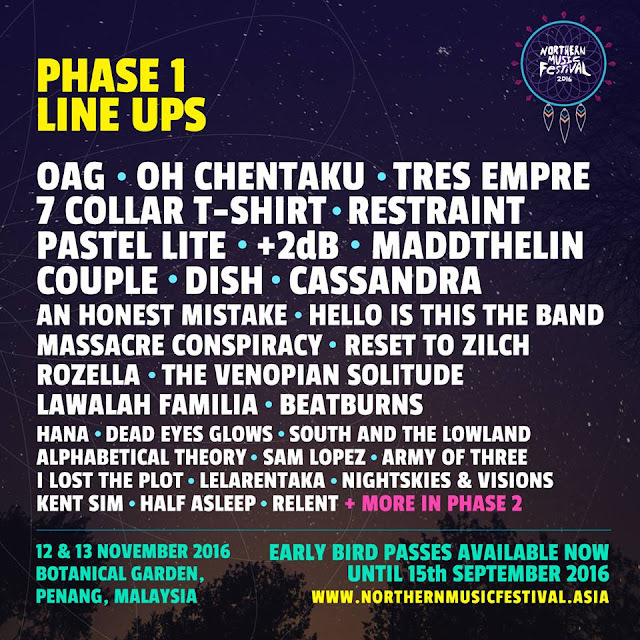 The performers include OAG, Seven Collar T-Shirt, Tres Empre, An Honest Mistake, Massacre Conspiracy, +2DB, Rozella, Maddthelin, Lawalah Familia, The Venopian Solitude, Sam Lopez, Dead Eyes Glow, Hana and more. The second phase of the line-up will be announced soon! 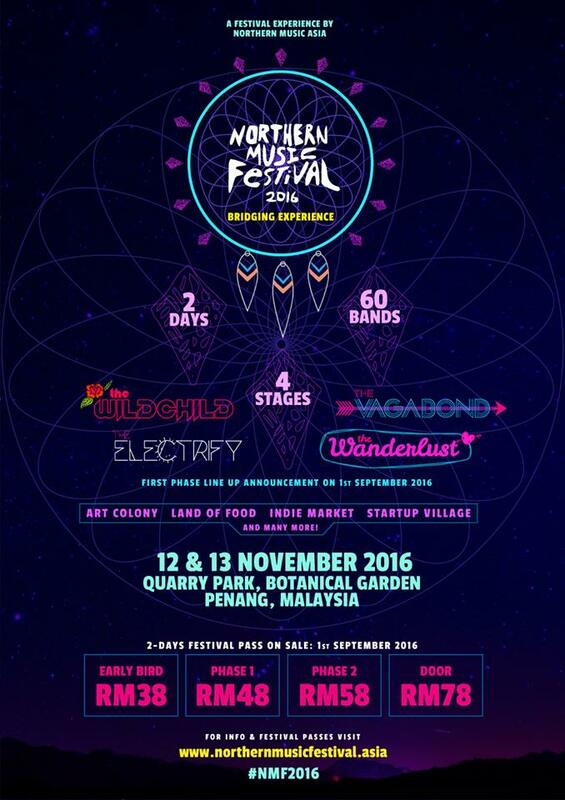 Early Bird tickets priced at RM38 are already on sale from 1 to 15 September. 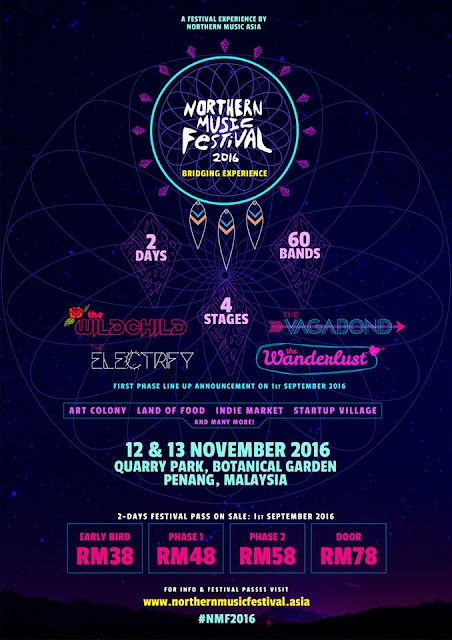 The tickets can be purchased via northernmusicfestival.asia. Northern Music Festival 2016 will take place on 12 and 13 November 2016 at Botanical Garden, Penang.